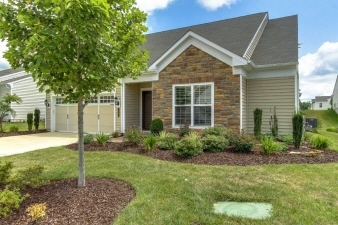 Additional Features and Amenities Timing is everything and you won't want to miss out on this Wilson Model, 3 Bedroom, 3 Bath home, in the community of Celebrate. This beauty has been gently used for just three years and is fully upgraded! Whatever the builder did not upgrade the owner did. Enjoy understated elegance throughout with such fine details as custom faux paint in the sun room, master bedroom, and library. Such bold accents add a classic touch to this home. Further details such as plantation shutters throughout the home enhance its appeal. The large great room with vaulted ceilings and tons of natural light really set this home apart from the others. Enjoy cool evenings by the fireplace with your loved ones or entertain easily because of the open concept layout of the great room, kitchen, and breakfast room. All of the main living spaces have a speaker system for enhanced entertaining! The kitchen is not to be missed - it is perfection plus!